You remembered every piece of outerwear and ski accessory in your closet, but you forgot to pack a decent set of après ski footwear. 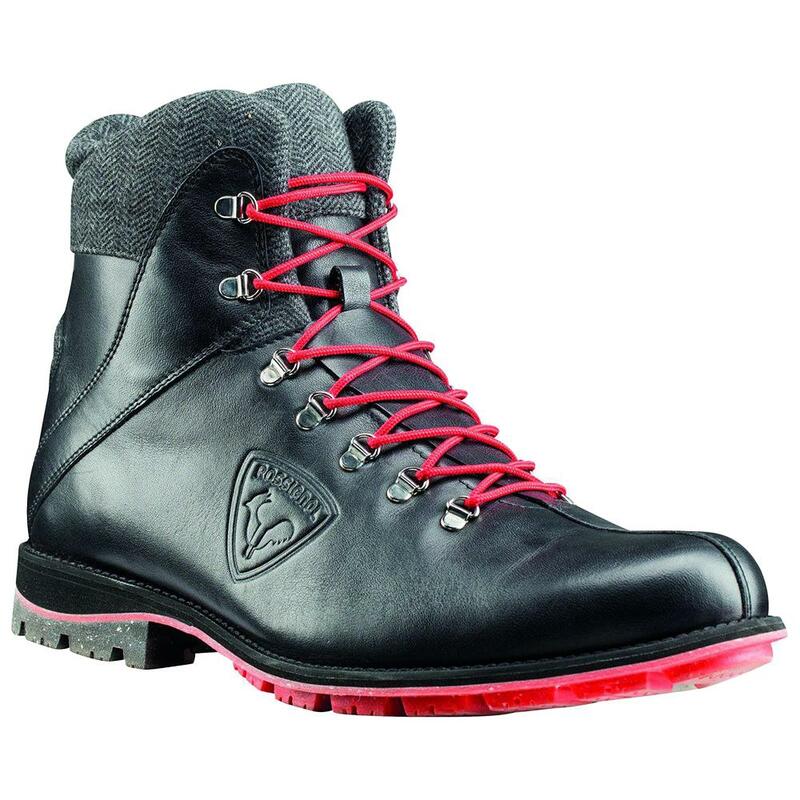 If you had the Rossignol 1907 Chamonix Boots in your closet, you would have never forgotten them. These high, ultra-fashionable boots refuse to be overlooked. They’re constructed from rich, luxurious leather and navigate slushy, icy streets with confidence thanks to a Rubber + Ice outsole. The combination of Outdry® waterproofing and reflective insulation holds up to the coldest evenings. "I have somewhat of a wide foot . Does the boot run wide or is it a narrow fit?" "For this boot it does fit men more narrow than wide. " "does this boot fit true to size? " "This boot will fit true to size. However, if you will be wearing a thicker sock we would recommend sizing up a 1/2 size." "Are these sizes U.S. sizes or U.K. Sizes ? Thank you!" "These are in U.S. sizing." Bought these for my husband and he loves them. They run small and we had to size up a full size.